Drive your message home all year long! Size: 18-1/4" x 10-1/2" open. 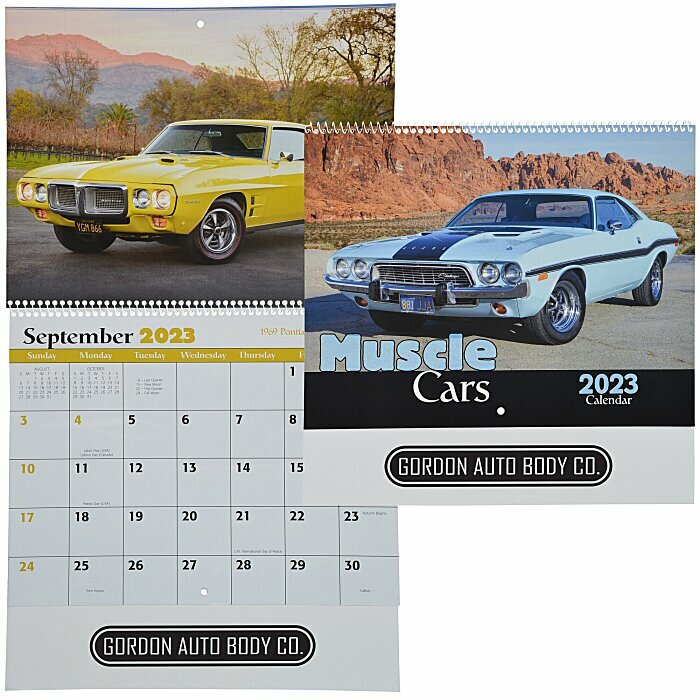 For staple-bound calendar, see item #7462-STMuscle Cars Calendar - Stapled; for quick-ship calendar, see item #similar item search 7462-24HR.